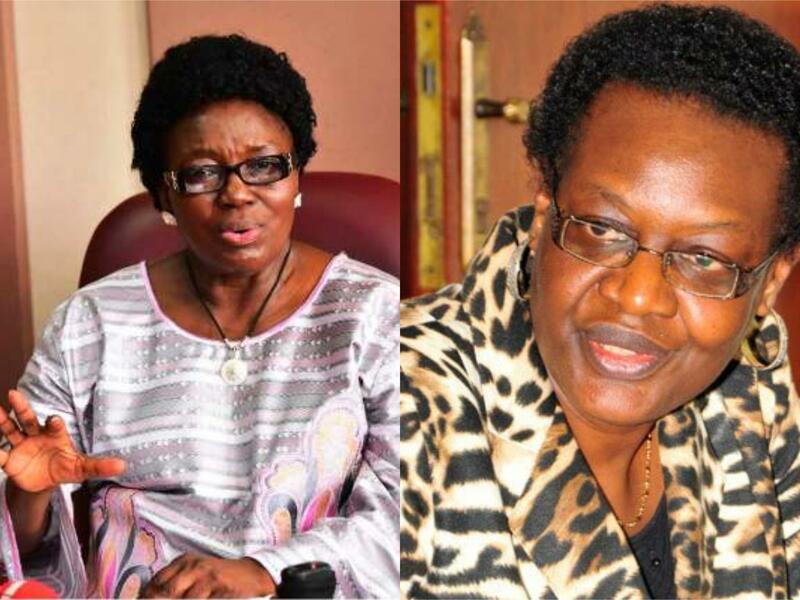 KAMPALA – The Speaker of Parliament Rebecca Kadaga has bashed the Inspector General of Government Lady Justice Irene Mulyagonja over demands of an ISO investigation on Members of Parliament and has labelled it an attack on the House before directing an inquiry into the IGG’s conduct. Ms. Kadaga on Thursday afternoon, opened the session of Parliament’s Plenary Sitting by letting fly a terse reply to Justice Mulyagonja’s January 19 letter in which she asked the Internal Security Organisation (ISO) to investigate allegations of bribe-taking by MPs on Parliament’s Committee on Commissions, Statutory Authorities and State Enterprises (COSASE), who have just completed a groundbreaking investigation into Bank of Uganda and it’s senior officials over controversial closure of seven banks including Crane Bank Ltd owned by city tycoon Sudhir Rupareria. “I want to refer the IGG’s letter to the Standing Committee of Rules and Privileges to investigat whether it doesn’t amount to contempt of Parliament,” she said. 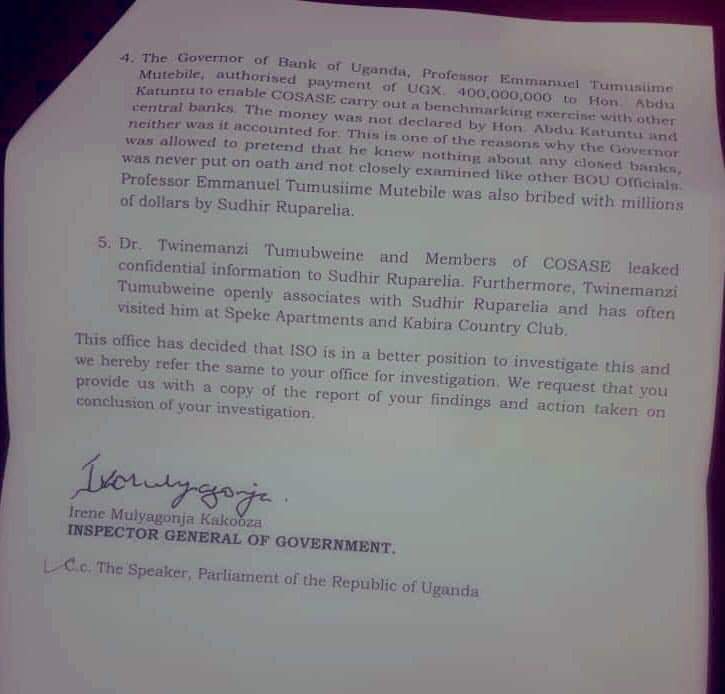 In her February 19 letter to ISO Director General, Col Kaka Bagyenda, the Ms. Mulyagonja says she had received a complaint from a whistleblower alleging that COSASE Chairman, Bugweri MP Abdu Katuntu and Committee members had taken UGX400 million from Bank of Uganda authorized by the Governor Emmanuel Tumusiime Mutebile for an official trip outside the country, without accountability. 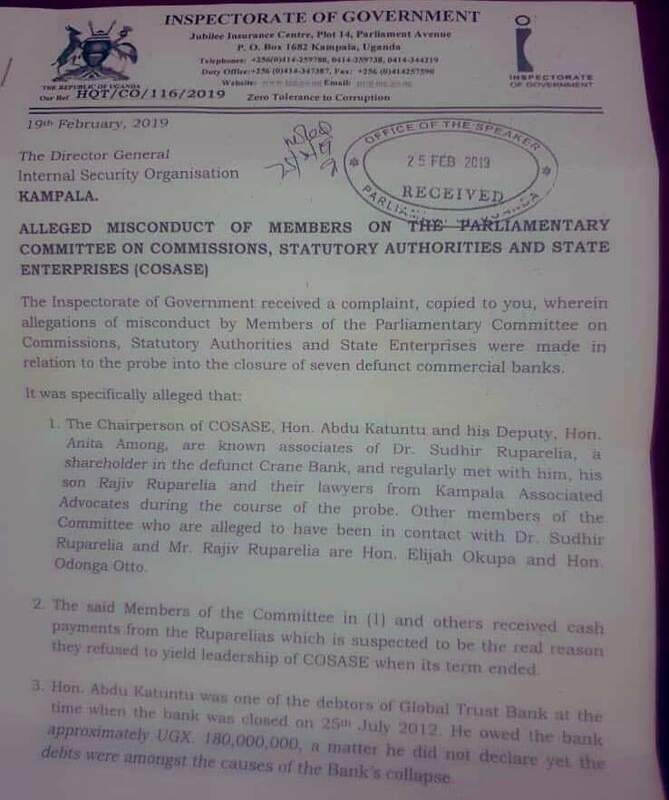 The IGG also alleges that Mr. Katuntu and his deputy Bukedea MP Anita Among were associates of city Tycoon Sudhir Ruparelia, whose Crane Bank was a subject of the parliamentary inquiry. Ms. Mulyangonga then claimed that ISO was “in a better position” to inquire into a complaint by the whistleblower submitted to the two offices. If she had called me, I would have been able to tell her there was no benchmarking which she wants to investigate. Benchmarking is with my authorization, therefore, I am also being accused of facilitating some benchmarking, but she wants ISO to investigate that. So you are going to see ISO come and check the Speaker’s letters! Is she right? This is what the IGG wants.